A $150 million NASA satellite which died from systems failure just five years after its launch has somehow reactivated and is still broadcasting, Science reported Friday. Astronomer Scott Tilley was searching for signs of Zuma, a classified U.S. government satellite of unknown purpose that officials declared a “total loss” shortly after its launch, when he was surprised to discover a signal from a satellite labeled “2000-017A.” In a blog post earlier this month, Tilley wrote that he was able to confirm that the object was indeed NASA’s long-lost Imager for Magnetopause-to-Aurora Global Exploration satellite by matching it to its orbit. IMAGE was launched in 2000 and declared lost in 2005. 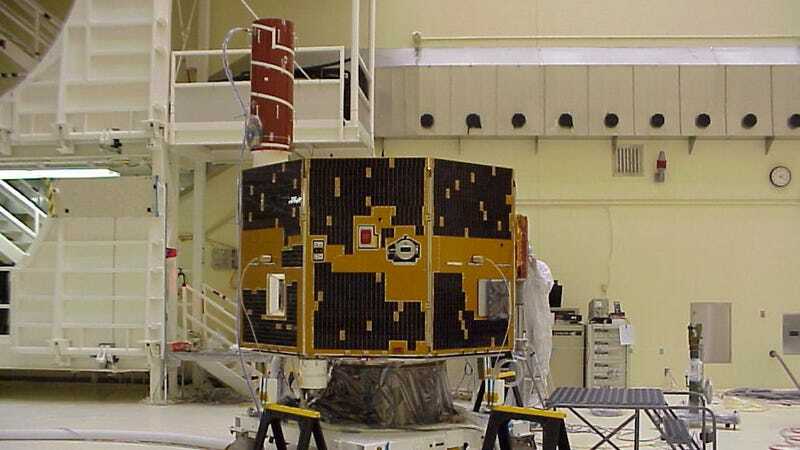 It is still transmitting data beyond simple telemetry, indicating that some of its six onboard instruments may still be active. It’s possible the satellite turned back on during a period of time in which Earth’s orbit eclipsed its onboard solar panels, drained its batteries, and forced a reset of IMAGE’s systems. Per AmericaSpace, a Failure Review Board had concluded that an “induced ‘instant trip’ of the Solid Sate Power Controller” was likely responsible for the original outage, though they noted there was a small possibility of the SSPC resetting in 2007 or a subsequent eclipse. “The odds are extremely good that it’s alive,” Rice University space plasma physicist and original mission co-investigator Patricia Reiff told Science. Since Tilley’s announcement, project scientists spent a couple days furiously digging up old software and records, and this weekend, NASA will attempt to contact IMAGE with its deep space radio antennas—as will the Johns Hopkins University Applied Physics Laboratory in Laurel, Maryland, and researchers at the University of California, Berkeley. Right now, the team is puzzled as to why it appears the spacecraft’s rotation rate has slowed, which may make communication more challenging. “The team is collectively holding their breath waiting for some real information exchange between IMAGE and the ground,” Reiff adds. According to AmericaSpace, IMAGE had already fulfilled its original two-year mission “to study the global response of Earth’s magnetosphere to changes in the solar wind” by the time it went offline in 2005 and had made 37 “unique scientific discoveries.” For example, per NASA, before IMAGE launched scientists knew the aurora “were caused by charged particles from the Sun and their interaction with the Earth’s magnetic field,” but they had no way of measuring said interaction. 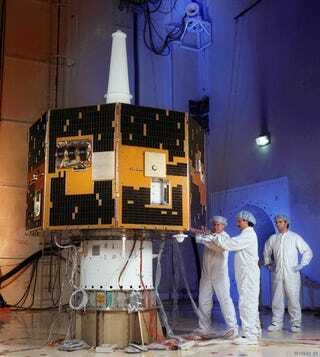 If it has really reactivated, the aging satellite should still be capable of contributing further findings on space weather and the magnetosphere, which is some good engineering on NASA’s part.